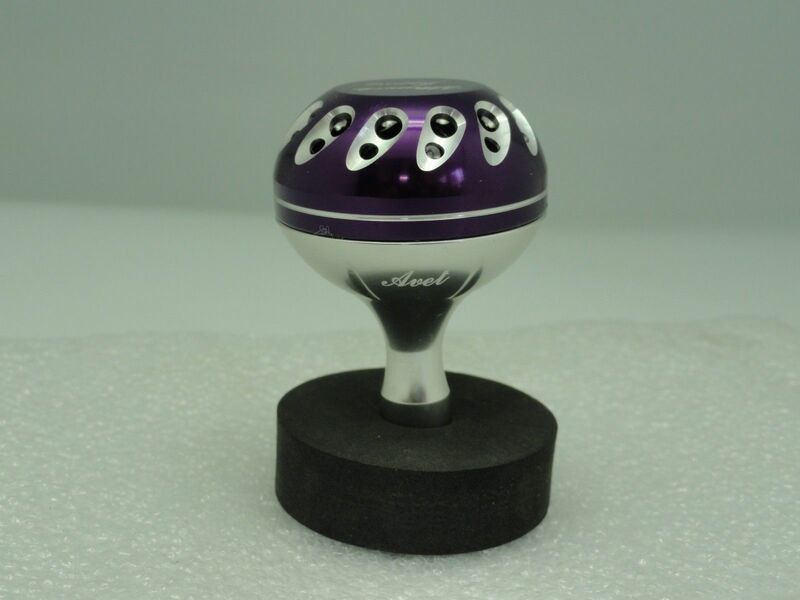 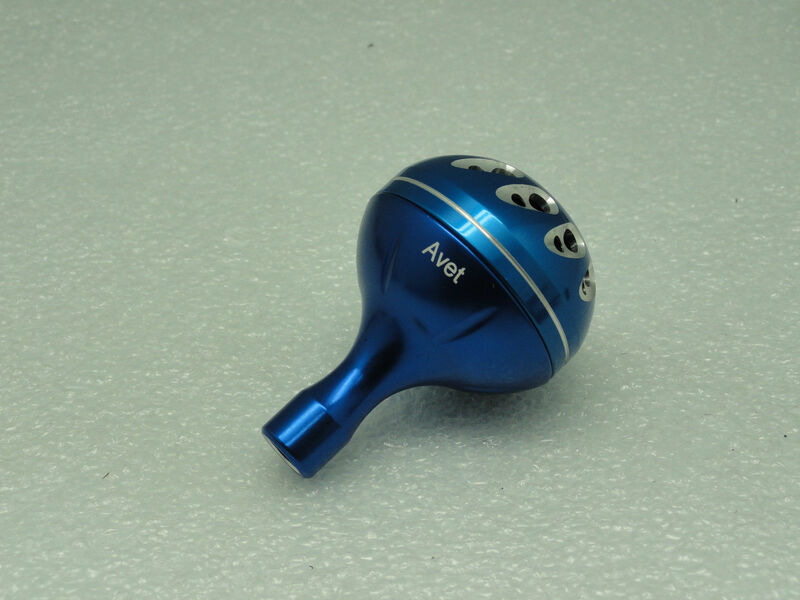 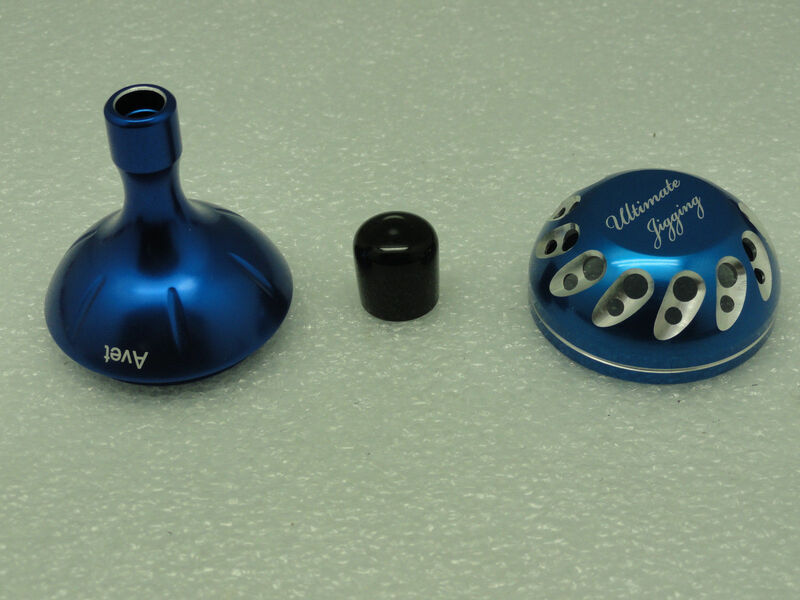 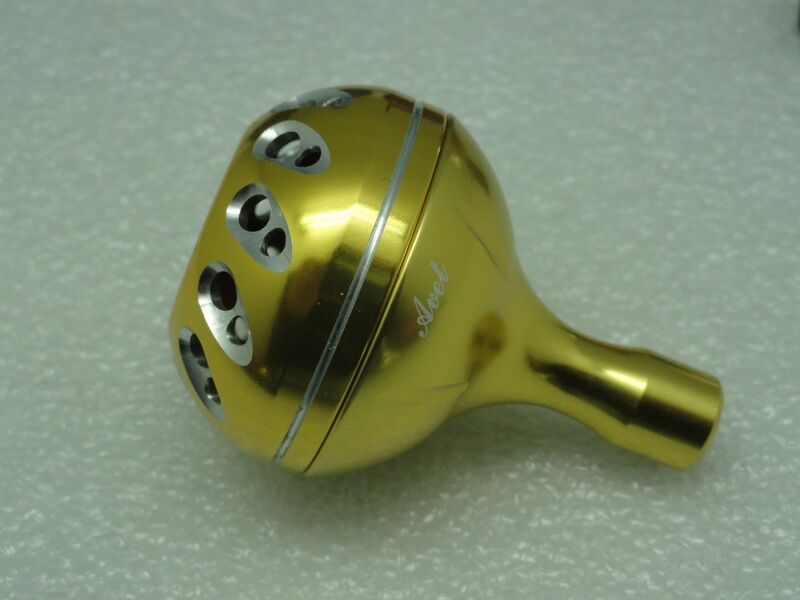 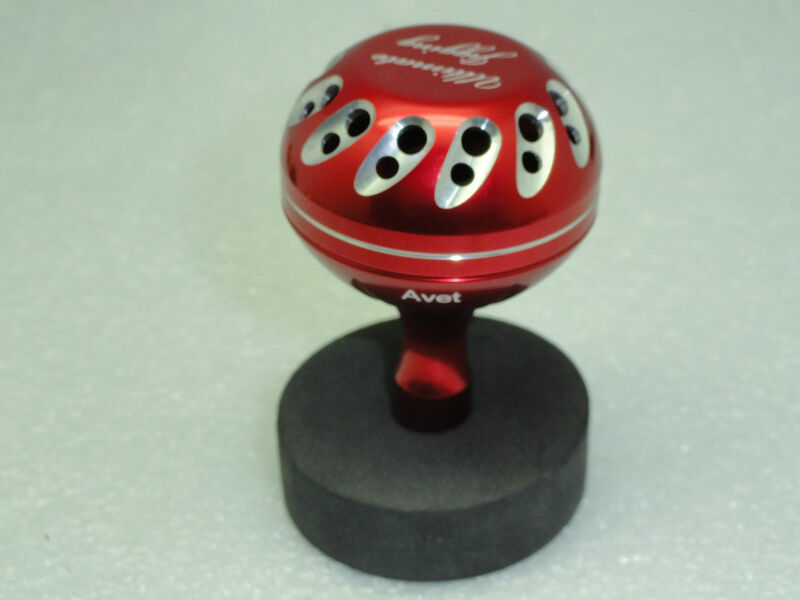 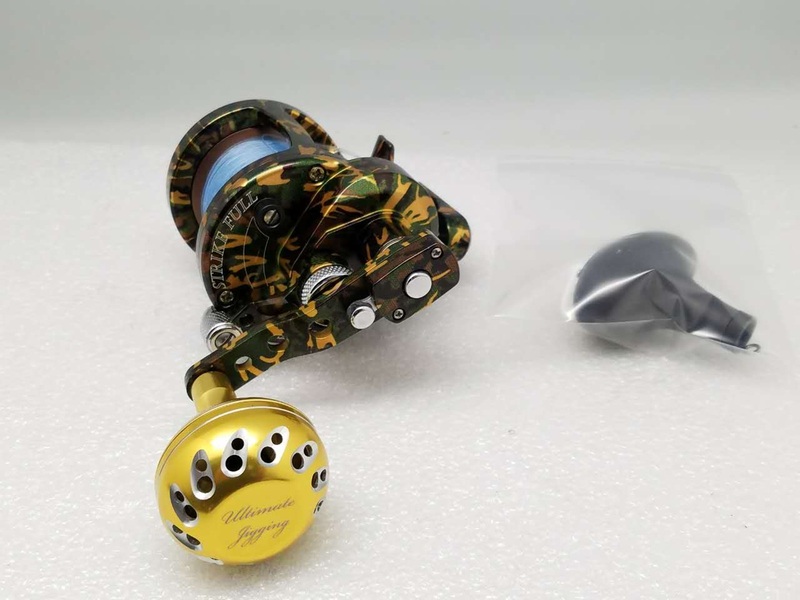 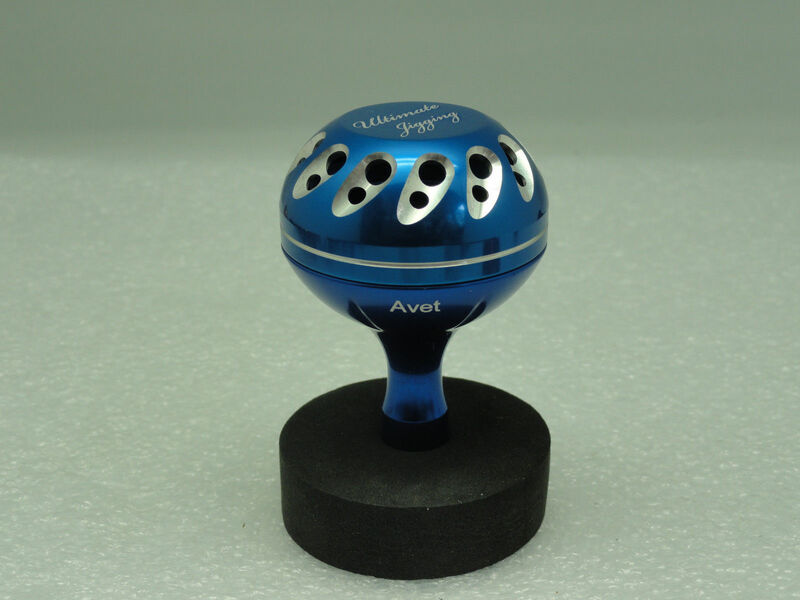 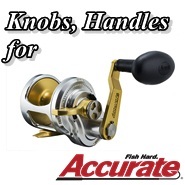 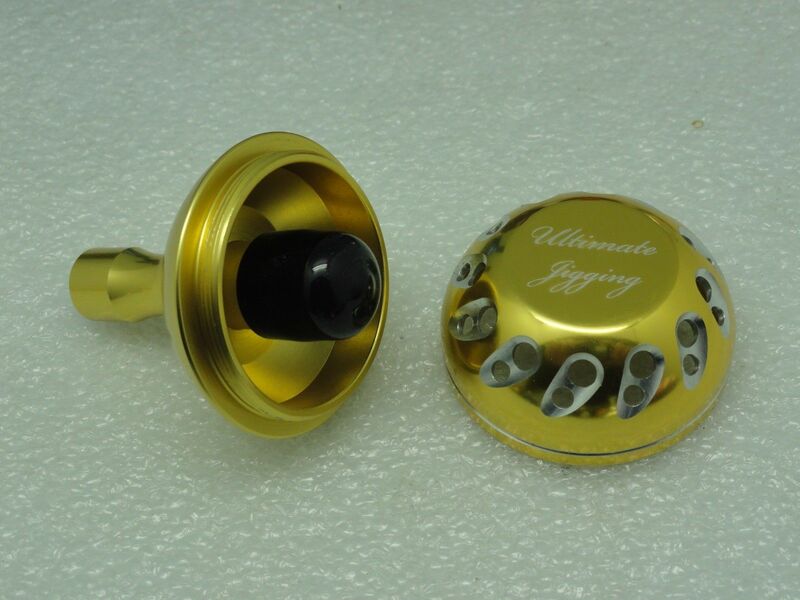 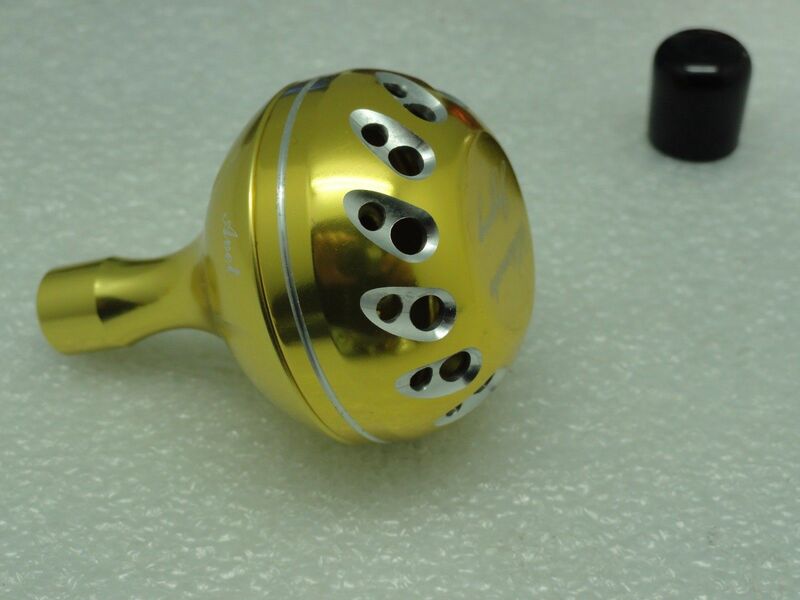 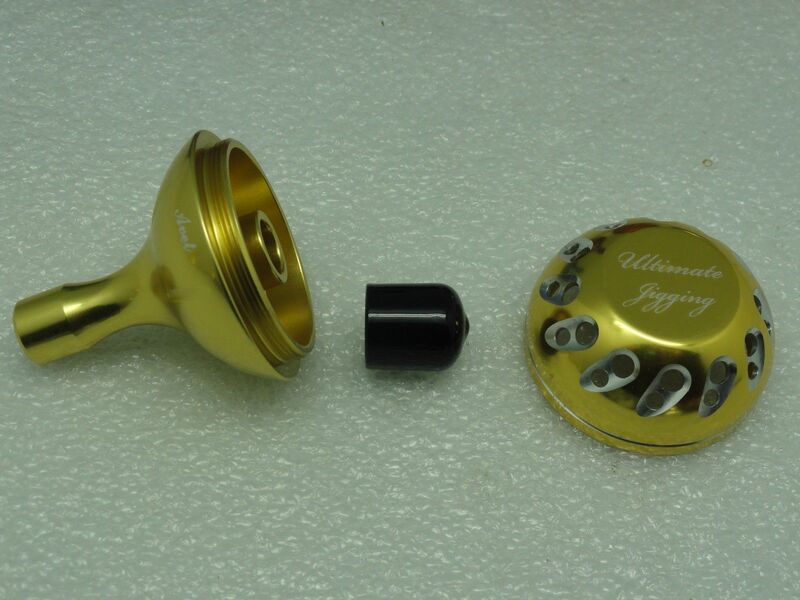 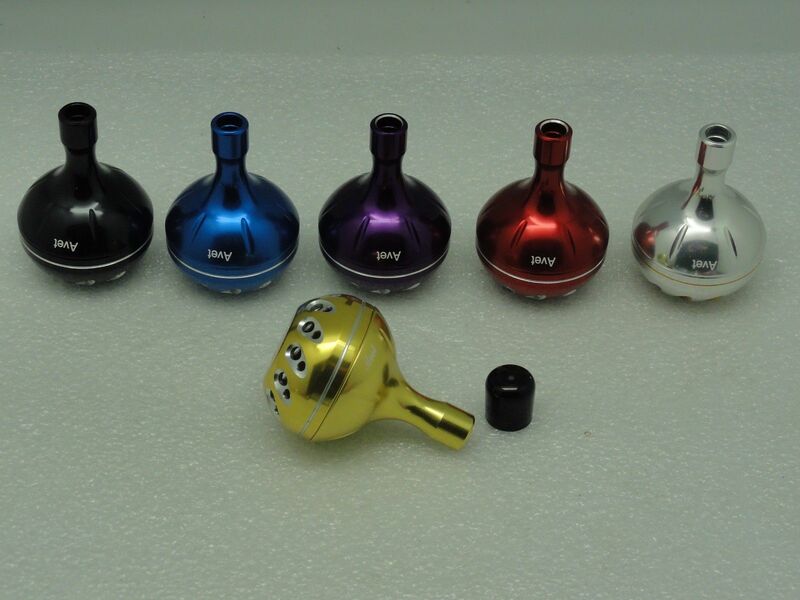 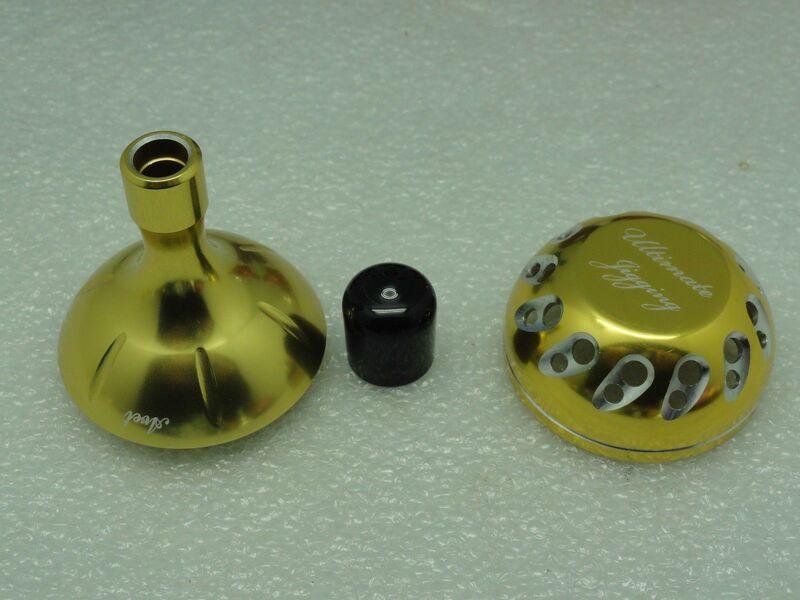 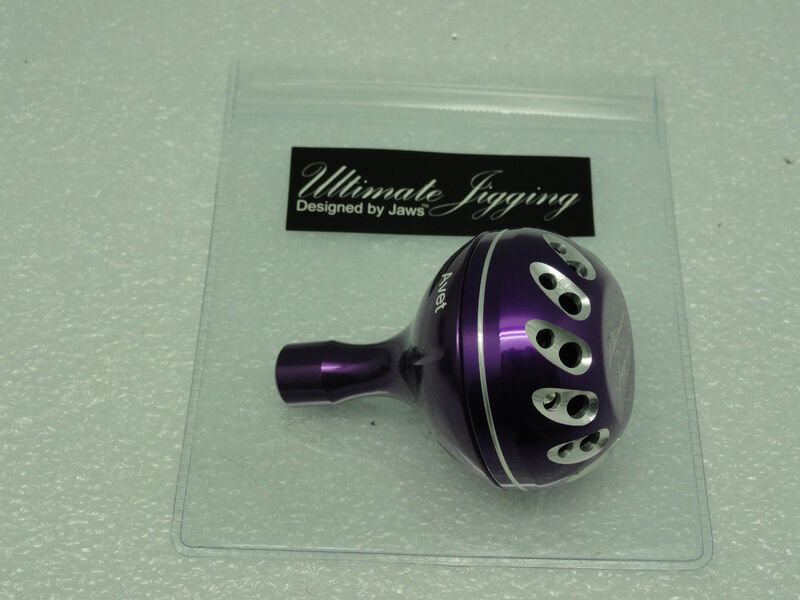 This Ultimate Jigging 45mm Knob Avet Model Package is new design. 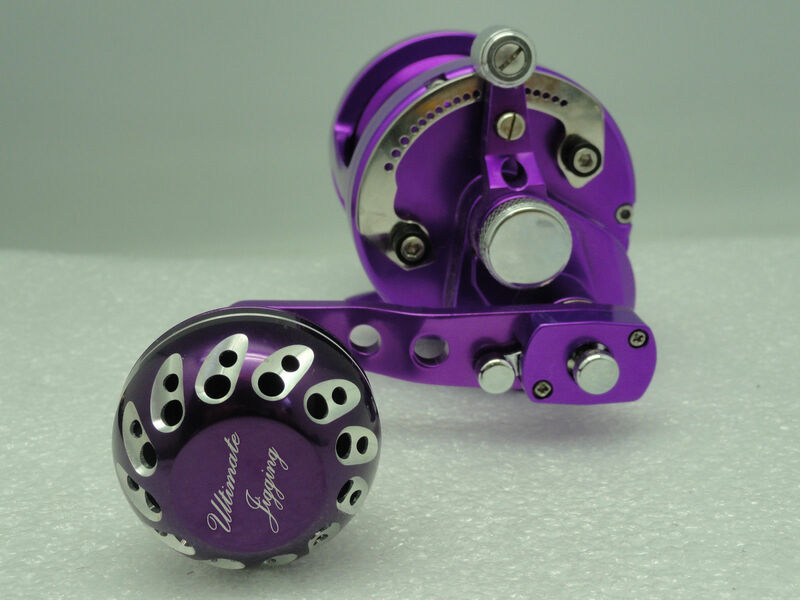 It is well crafted from solid 6061-T6 Aluminum stock with type two anodized and two-tone color. 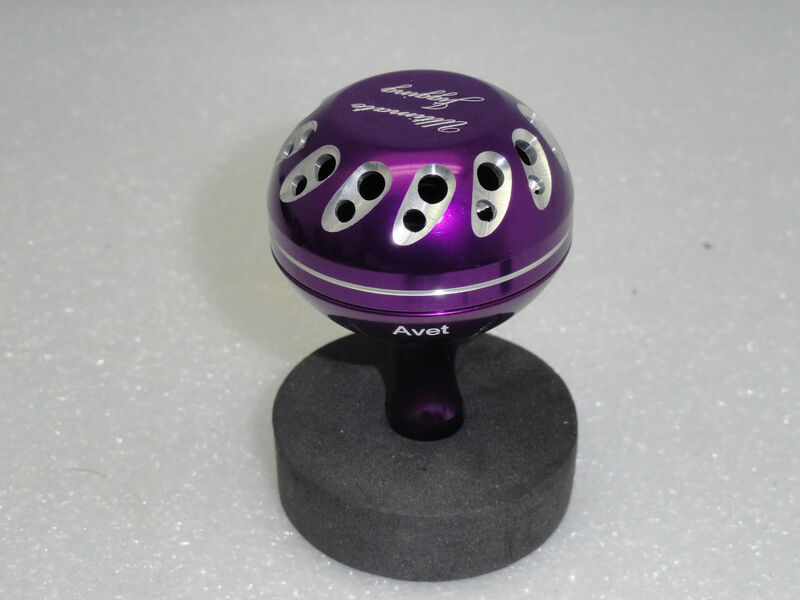 It is very stylish and light weight. 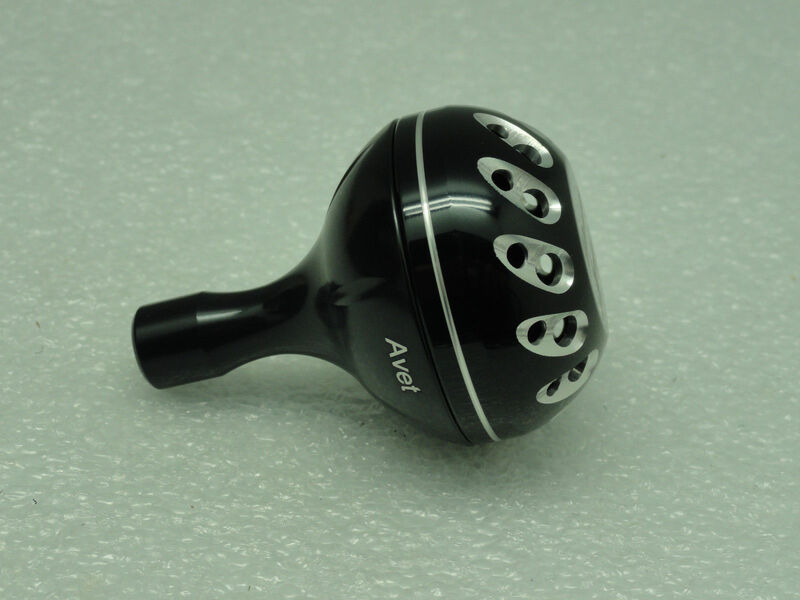 This custom Knob is precisely made; no play (only 0.01mm). 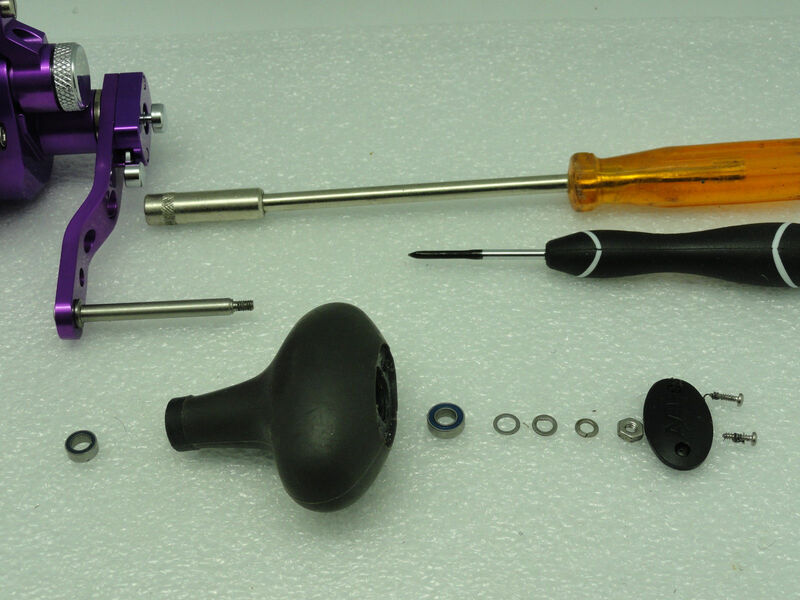 When you install it, you must make sure every part is align and clean, then follow the diagram paper and instruction that come with the Knob to install it. 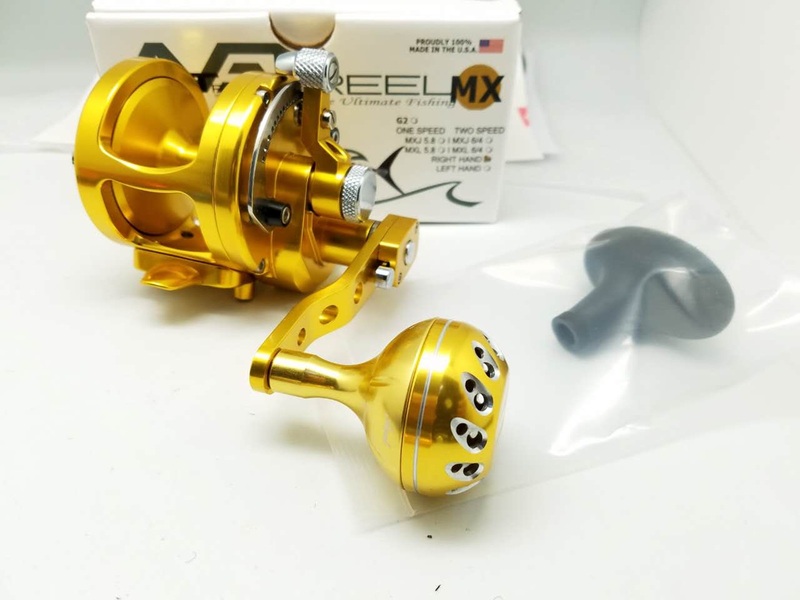 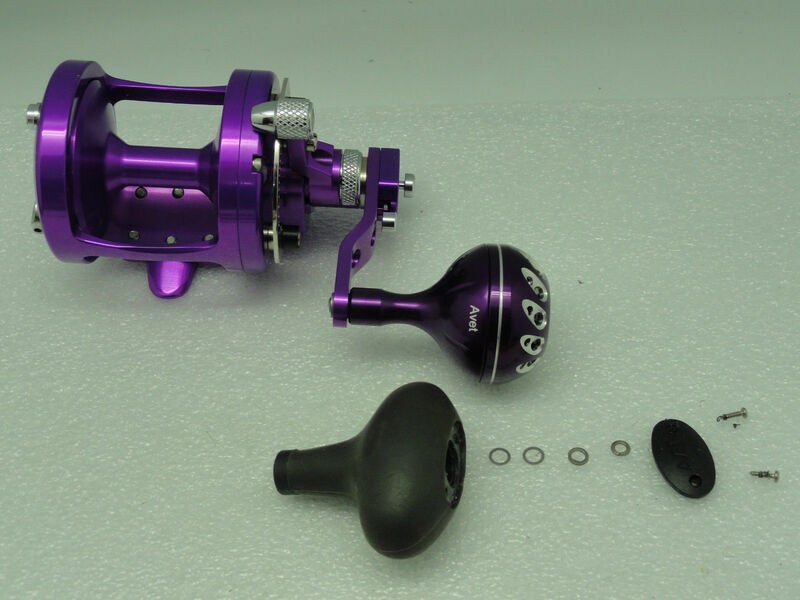 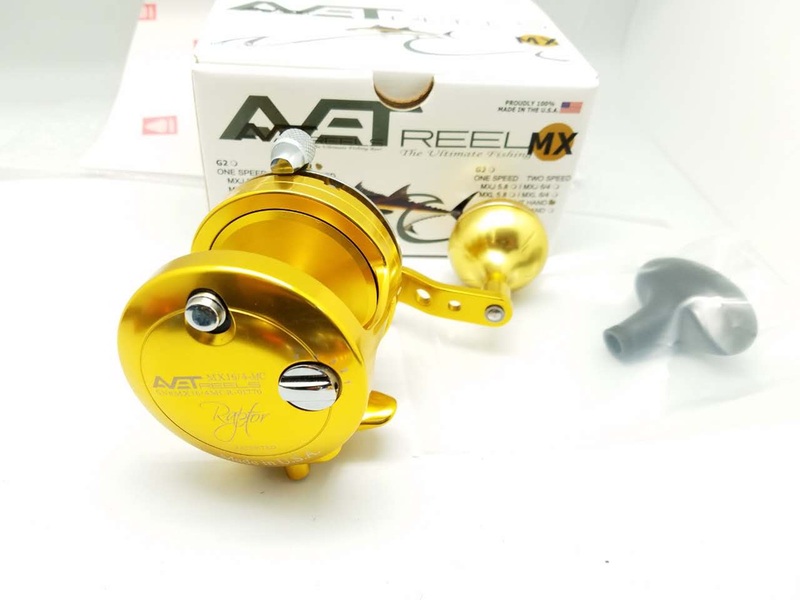 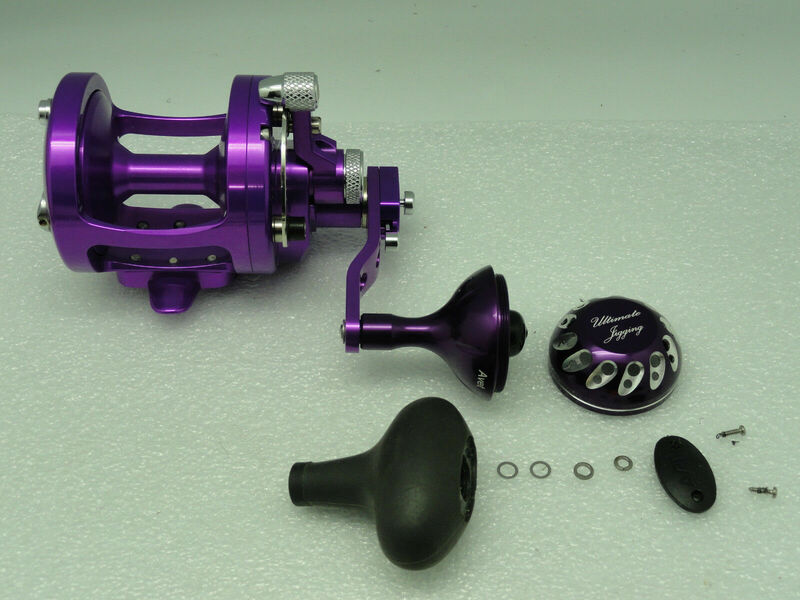 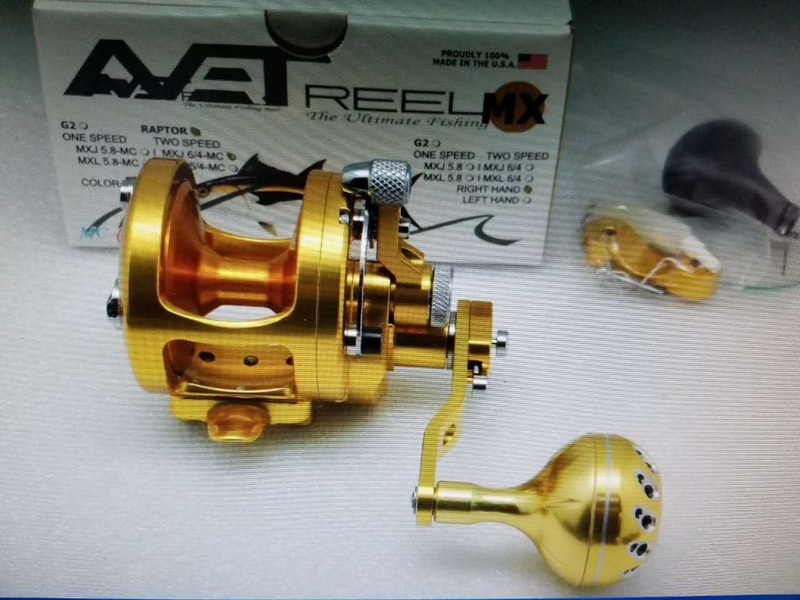 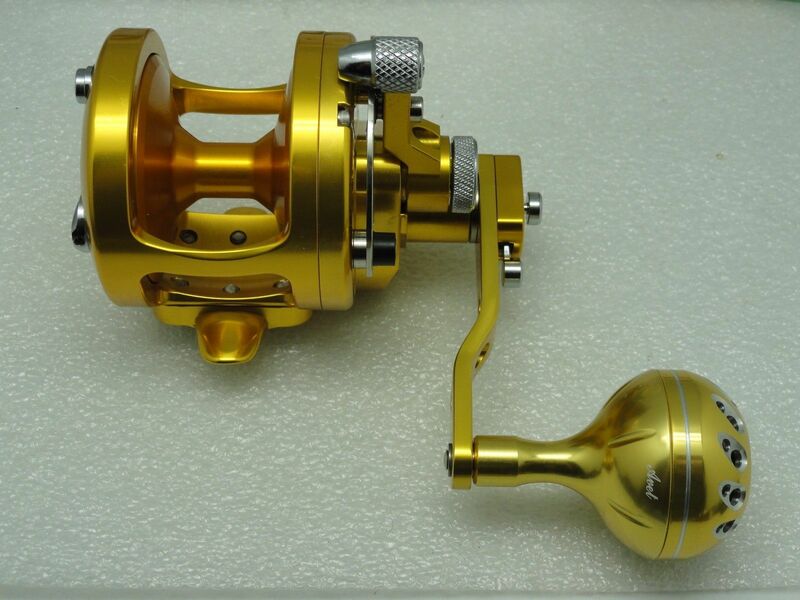 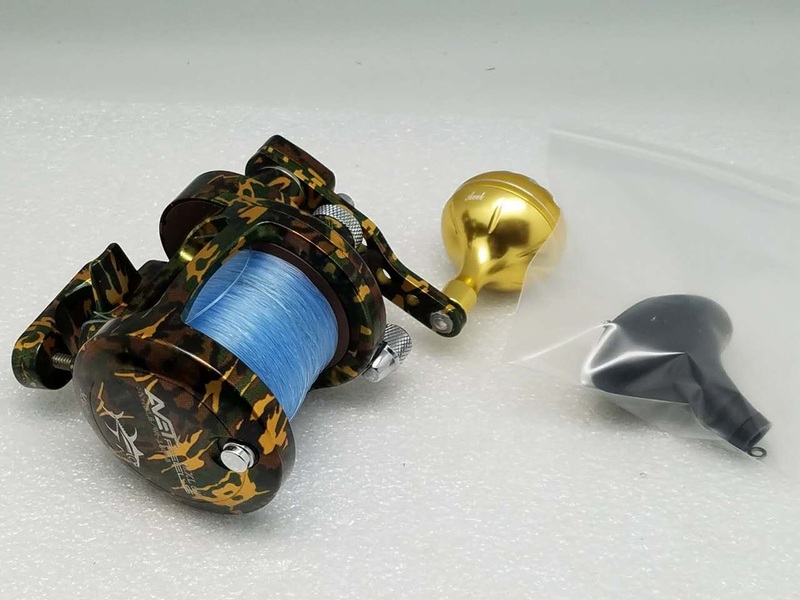 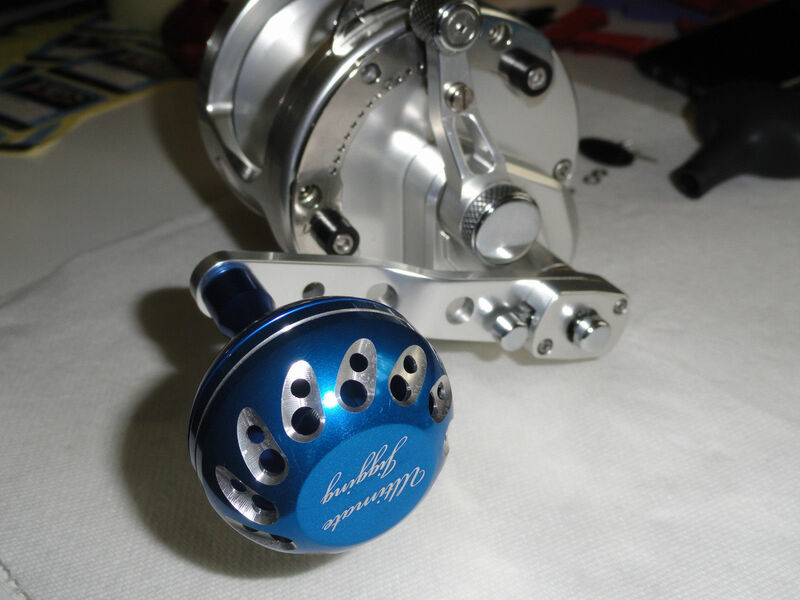 This Model can be directly installed to the original shaft of New Version Single & Two Speed Avet reels: SX, MXJ, MXL, JX, LX, HXJ, HX, HXW… MC Raptor. 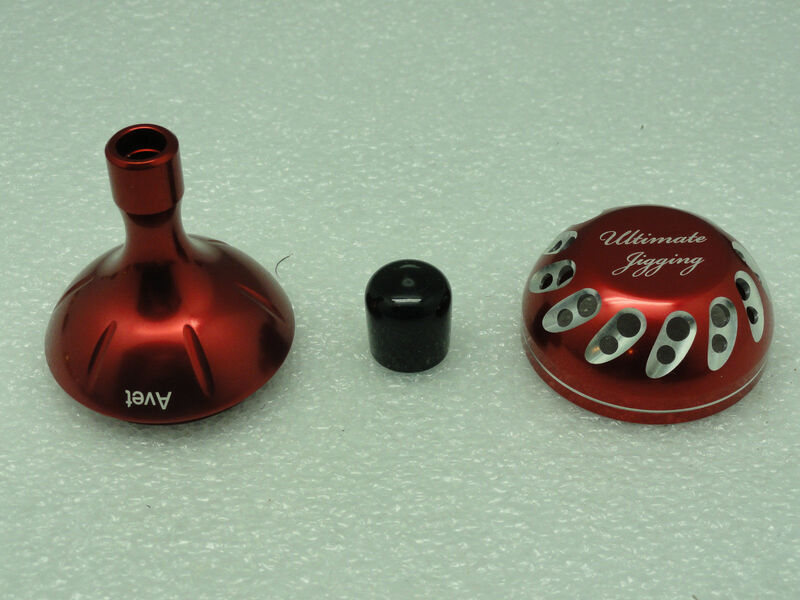 The cup housing is designed to fit 16/3” I.D. 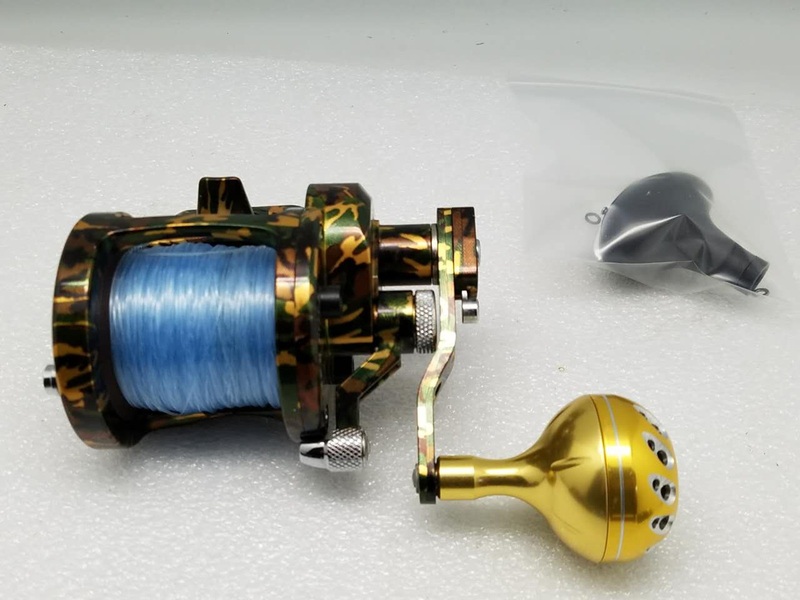 *16/5” O.D. 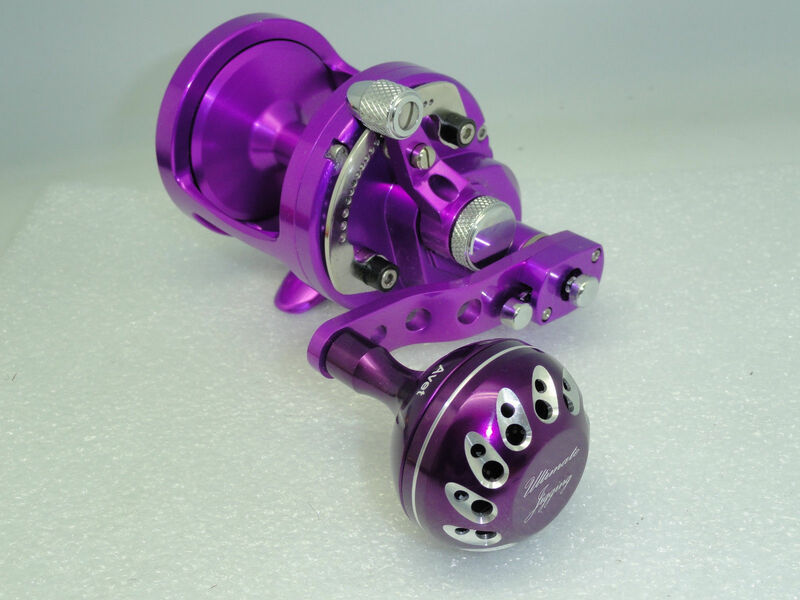 *8/1” W near arm, 16/3” I.D. 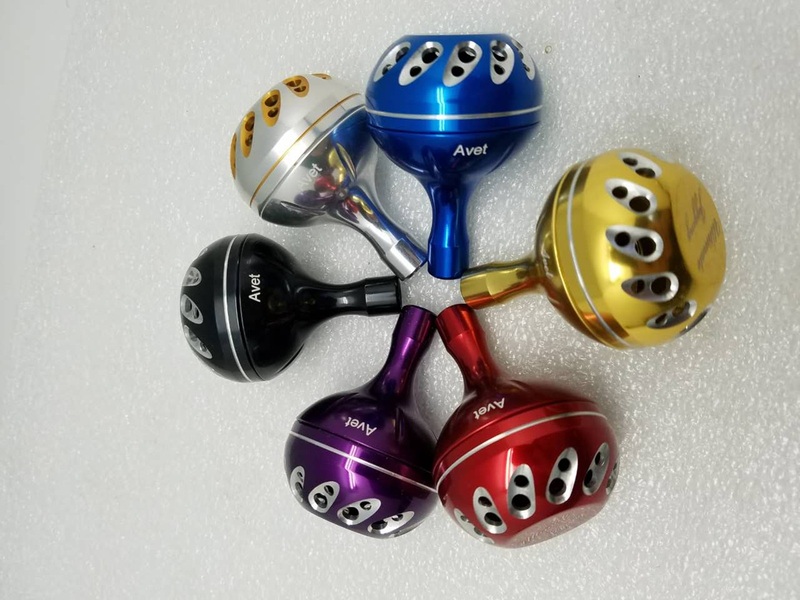 *8/3” O.D. 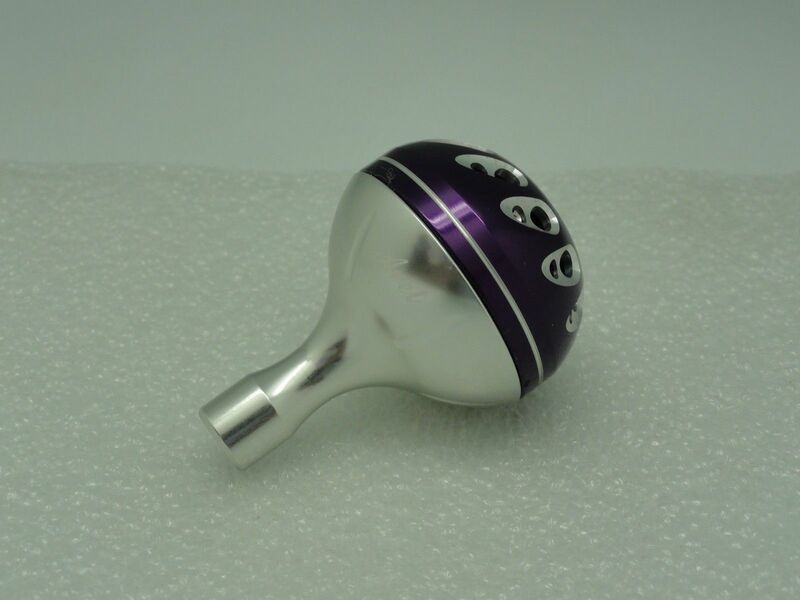 *8/1” W near ended screw that can fit directly on Avet stock shaft. 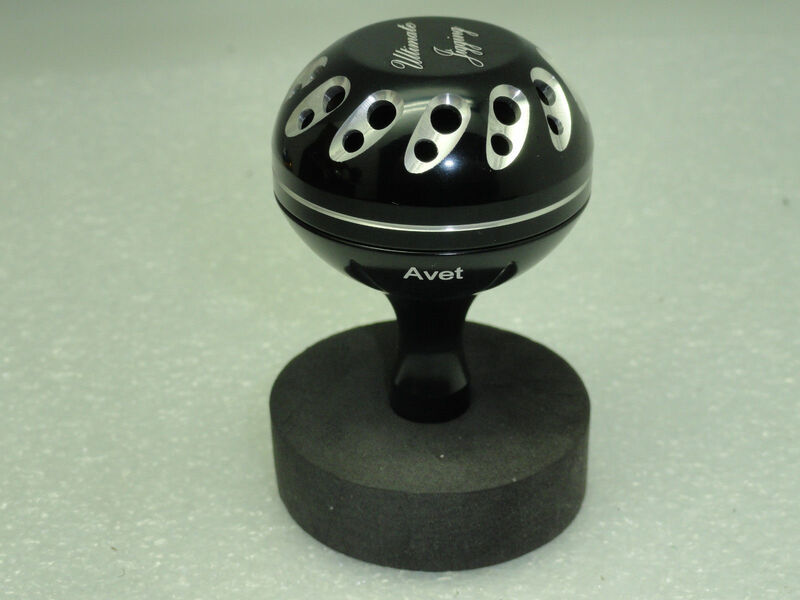 Please see "45mm Knob Avet Model Upgrade Steps" for the detail installation. 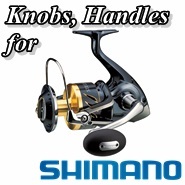 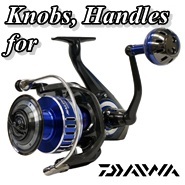 If you have any question, please email us at support@pbmfishing.com to consult. 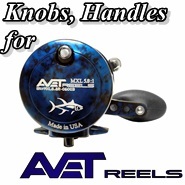 Notes: This Ultimate Jigging 45mm Knob Avet Model Package cannot replace or fit on Avet factory T-Bar. 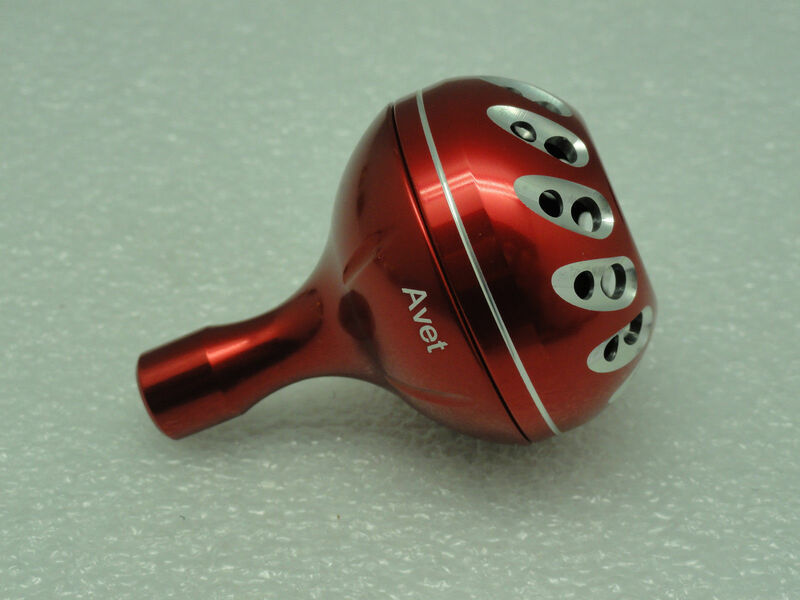 To install this Knob, you may need a 1/4" Hex Nut Driver to OPEN new designed Avet reel handle knob on SX, MXJ, MX, JX, LX, HXJ, HX, HXW single or two speed reels.